Every year, more than 35 million heart-shaped boxes of chocolate are sold for Valentine’s Day.That’s a whole lot of sweets! Here are a few tips to keep the sugar down but keep all the sweetness of the holiday. 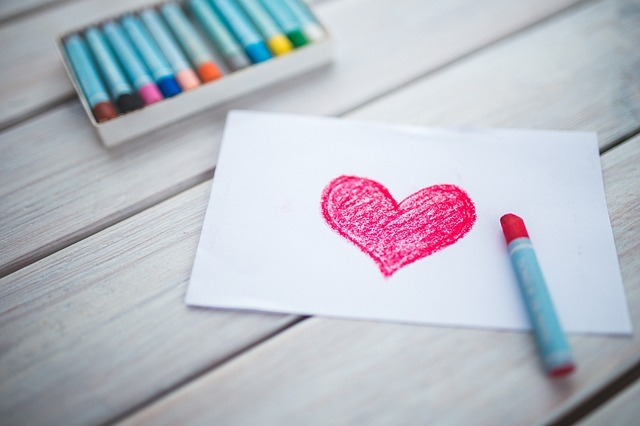 A homemade gift can be uniquely crafted with your loved one in mind, which makes it much more heartfelt than a box of chocolates. A hand-written card or hand-picked bouquets of your significant other’s favorite flowers are great options. 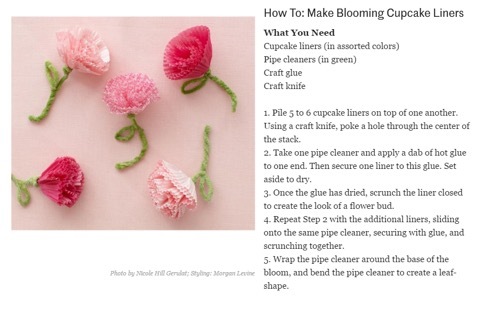 If flowers aren’t growing just yet, check out this easy floral craft from RealSimple.com using cupcake liners! Some couples go out to eat for Valentine’s Day and end up eating large portions or opting for dessert. Instead, find your significant other’s favorite recipe online and make it home. You can surprise them before they get home from work with the table set or you can have quality time and cook the meal together. Either way, you’ll save money and control what ingredients are going in your food. You’ll also get to plate your own food and can avoid the huge portion sizes restaurants serve. Need ideas? Check out our list of delicious and healthy recipes. 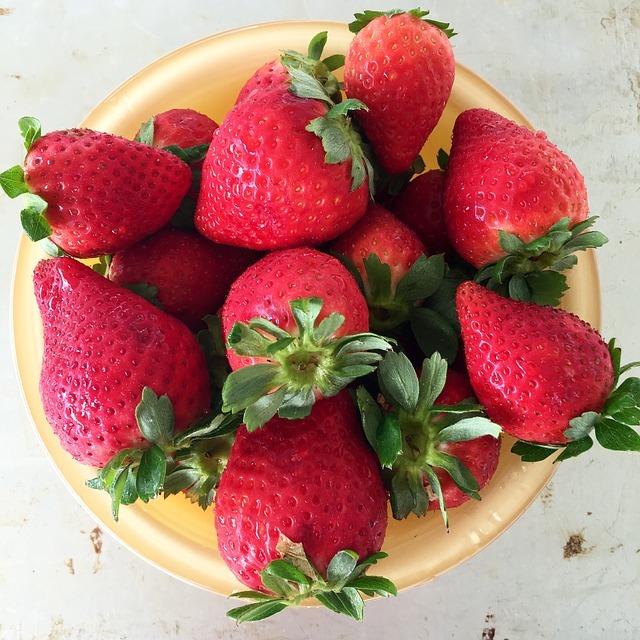 If you still want something red for your sweetie, try this strawberry smoothie. If there’s a restaurant you’re dying to go to, go ahead and celebrate. Be smart about your choices though. Choosing appetizers instead of entrees or splitting an entrée can help you save money and watch your portion sizes. Here’s a list of ways to eat smart when you’re eating out that you can apply to just about any restaurant’s menu. Spending time in nature is the perfect Valentine’s Day date. 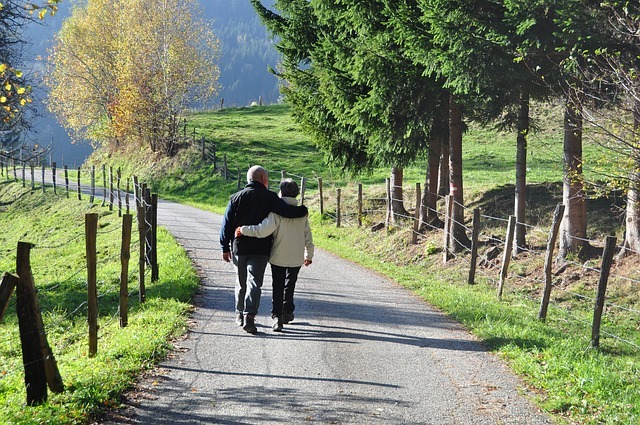 When was the last time you and your significant other went for a walk together, just the two of you? Choose a park, forest, lake, or any place nearby to spend the day. You can pack a healthy picnic, bring the dog, or even make it a family event and bring along the kids. Take a walk at night instead to see the stars. You’ll get to enjoy the beauty of the outdoors while increasing your physical activity as you walk around. Nature also happens to be pretty budget-friendly- it’s almost always free! Remember that you can use your Georgia public library card to check out a ParkPass and Historic Site Pass for free admission and parking at over 50 parks across the state. Make sure your kids have a healthy V-Day too! Also, if you’re buying Valentine’s Day cards for the class, be sure to choose ones that don’t come with candy. Flowers are just as thoughtful as a box of chocolates, if not more. Choose your significant other’s favorite flower and include a handwritten card to make the gift more personal. You can even go the extra mile and hand-pick the bouquet to make it exactly how they’d like it. Balloons are great options too! This way you skip the calories of candy and give them something more personal that they’ll remember.